TYPE OF CAMP: Overnight/Sleepaway. Day Camp. Range from 4 to 6 days, housing included. Commuter options. CAMP LOCATION: Clinics and Workshops are help on the campus of Eastern Illinois University in Charleston, IL. Florida Clinic Location held on the campus of Florida Gulf Coast University, Fort Myers, Florida. Visit our website at Our Camp Website Link: www.swclinics.com to view information or request a brochure. -Develop a dynamic visual presentation sure to dazzle the audience and the judges too! -HALF PRICE for Drum Major Week 2 if attending Week 1. -HALF PRICE for Leadership, Mace & Signal Baton, and Student Conductor Workshops if attending any other Clinic. -Band Directors can attend the Drill Design or Marching Band Directors Workshops for free if sending 20 or more students and half price if sending 12-19 students to any combination of clinics or workshops. 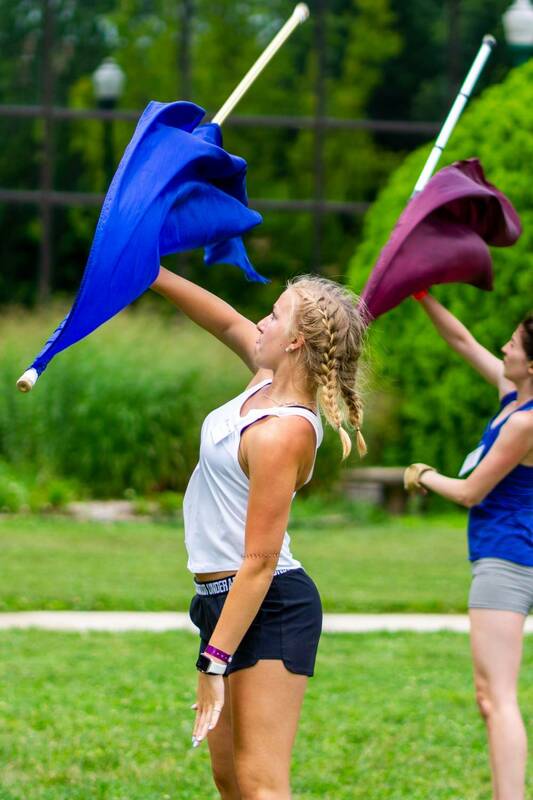 -Colorguard sponsors or instructors can attend the Flag and Rifle Clinic free if sending 20 or more students and half price if sending 1-19 students to any combination of clinics or workshops. -Student discounts of 10% are available for schools sending 12-19 students, and 20% for sending 20 or more students to any combination of sessions. If one student attends more than one session, each additional attendance counts towards the minimum. PAYMENTS MUST BE COLLECTED AND MADE IN BULK AND SET UP WITH THE OFFICE IN ADVANCE. OTHER CAMP INFO: SW will transport participants to and from Champaign (air, train, bus) terminals for those traveling using public transportation. A SW staff member in a SW shirt and a sign will meet participants at their designated location. SW IS NOT a licensed chauffeur service. Our transportation assistance is intended provide free service to help minimize travel expenses costs. SW is not responsible for delays or cancellations that may occur while traveling. SW will not be responsible for traveler's expenses resulting from cancellations, hotels, meals, or bag fees. SW provides this service for pick up in Champaign only. Those needing this assistance are required to complete and send us the Public Transportation Form. Mail/fax/e-mail it to us not less than 5 days in advance of your arrival. -Drum Major Clinic- week 1- $540 Resident/$420 Commuter. -Flag/Rifle Clinic- $325 Resident/$245 Commuter. -Marching Band Clinic- $325 Resident/$245 Commuter. -Drumline Clinic- $325 Resident/$245 Commuter. -Leadership Clinic- $255 Resident/$195 Commuter. -Mace and Signal Baton Clinic- $255 Resident/ $195 Commuter. -Student Conductor Clinic- $255 Resident/ $195 Commuter. -Drum Major Clinic- week 2- $540 Resident/$420 Commuter. Go to The Best Illinois Summer Camps Directory to Find More Top Summer Camps Near Illinois.